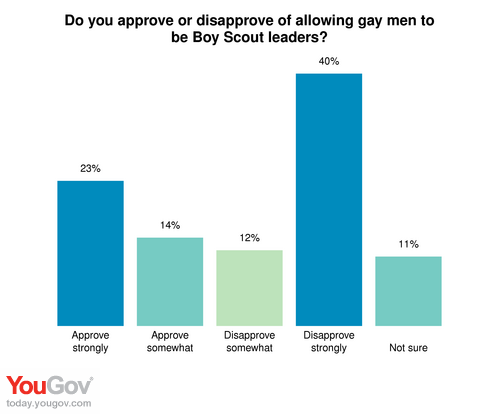 Just How Gay Are The Boy Scouts? I suspect the issue has been clouded by the impact of the sexual abuse crisis in the Catholic church and understandably greater nervousness about allowing boys to be supervised by grown men away from their parents. But although that’s understandable, it’s irrational. Openly gay scoutmasters are far less likely to abuse boys than closet case “bachelors” – because they are more emotionally and sexually adjusted. And closet-case “bachelors” will remain in the Scouts, while the less damaged ones are purged. 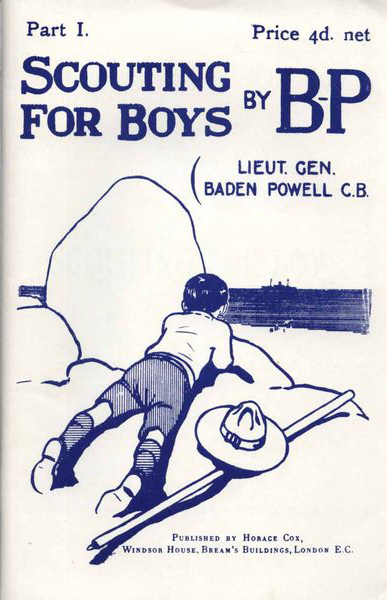 “The available evidence points inexorably to the conclusion that Baden-Powell was a repressed homosexual,” Tim Jeal wrote in The Boy-Man: The Life of Lord Baden Powell. (Long out of print and available only used, Jeal’s book is now also available as Baden-Powell). And Jeal should know; he is a well-respected British biographer and novelist whose work about David Livingstone was chosen when it was published as one of the best books of the year by editors at the New York Times and The Washington Post. The index of Tim Jeal’s excellent biography Baden-Powell speaks of his “aesthetic and sexual interest in men,” “pre-marital celibacy,” “dreams of young men,” and “anxieties over sexuality.” He got married, at 55, to (as Jeal put it) “a sporting girl whose interest in outdoor comradeship seemed at least as great as her desire for sexual fulfillment,” and he even managed to beget three children. But thereafter he always slept out on his balcony (and this in the English climate) rather than in the marriage bed. And don’t even ask about his dreams (just look at the drawing on the first cover of “Scouting For Boys”). It’s a fantastic irony that in today’s boy scouts, the very founder of the organization would be deeply suspect.